The last time I was in Budapest, I arrived by train and left by coach; this time, I've come by plane and will leave on a boat, which is kind of satisfying. There were a lot of snowy mountains (including Ararat, above) on the 6-hour flight from Dubai but here it's just damp and grey and gloomy. 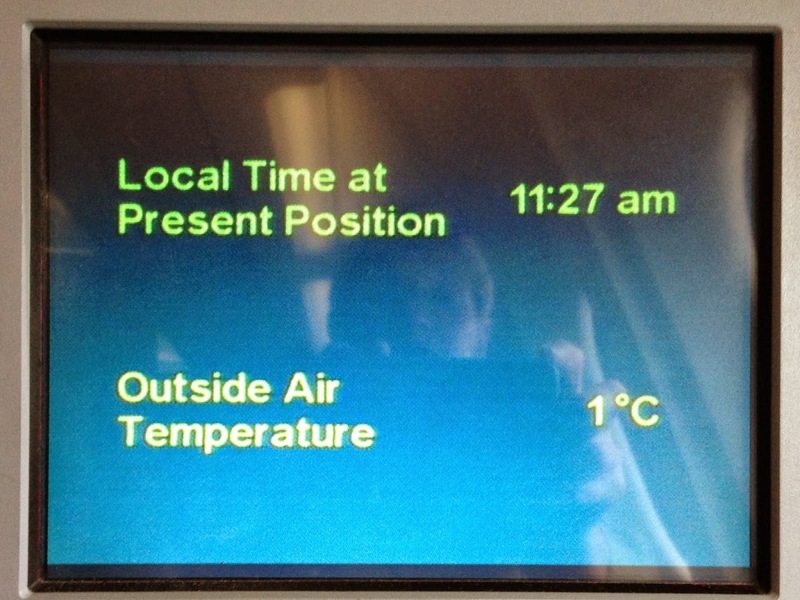 And cold, one degree C, which is chillier than my fridge back home. It's not the sort of weather that does any city any favours, and I'm glad to have seen Budapest in summertime, as a balance to its rather forbidding face right now. Arriving at midday jet-lagged after an early start, though, I didn't do a great deal beyond settling in and getting my bearings. We're moored near the green Liberty Bridge, across the river from the Gellert thermal baths and the castle on the hilltop of Buda. Here on the Pest side, the yellow trams trundle past, there are other river cruisers, sight-seeing boats and floating restaurants and bars lining the bank and, despite the weather, quite a lot of other tourists shuffling along, hands in pockets. I was one of them, regretting leaving my scarf on the boat, tripping over the cobbles as I followed the bank towards the Houses of Parliament. 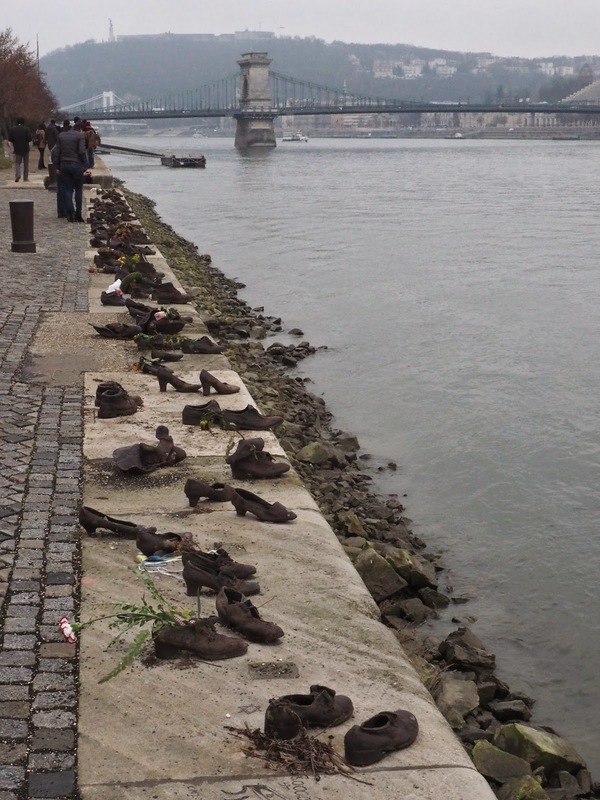 My goal was a memorial I'd read about only after my last visit: Shoes on the bank of the Danube. It's an installation of 60 cast-iron pairs of assorted 1940s shoes, a memorial to all the Jews lined up beside the river in 1944-45, and shot by the Arrow Cross - a Hungarian fascist group with Nazi-style beliefs. Their victims had to remove their shoes first, because they were a commodity during the war, but the people of course were expendable, and the Danube was a handy way of disposing of the bodies. It's a grim bit of history, and the worn, battered shoes - men's, women's, children's - speak volumes, arranged untidily along a section of the bank. Flowers and flickering candles gave the rusty brown shoes some colour, but it was a literally chilling sight that was perfectly suited by the greyness of the day.